Artificial turf is common on athletic fields. After all, that’s the purpose for which it was invented in in 1965 by Donald L. Elbert, James M. Faria, and Robert T. Wright. It was originally called “ChemGrass,” but the name was later changed by a company employee named John A. Wortmann after its first well-publicized use at Houston’s Astrodome. 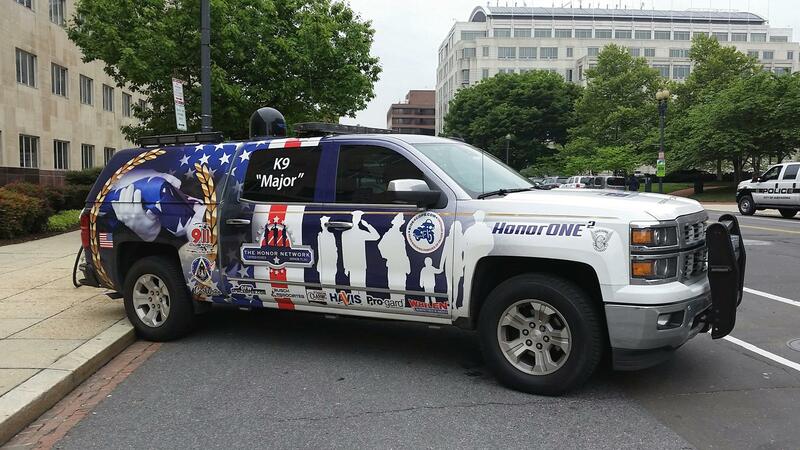 You don’t, however, usually see AstroTurf on a vehicle. 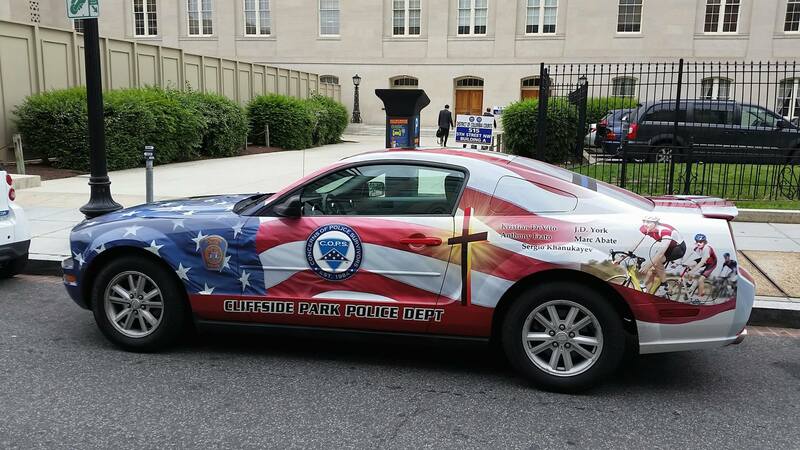 But during this bike ride in D.C.’s Capitol Hill neighborhood I came across just such a car. 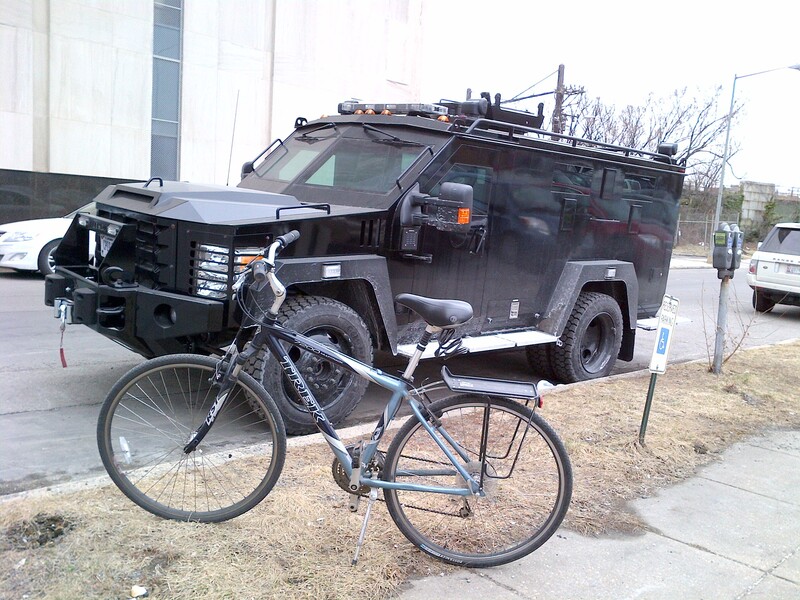 Now, I’ve seen lots of unusual vehicles throughout the city during my daily bike rides. But this is the first time I’ve seen one like this. 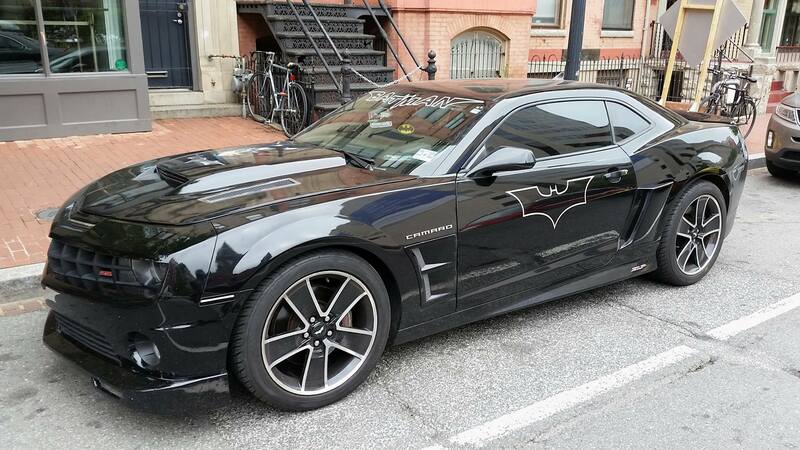 And although I like it, I don’t think I’d want it to be my car. 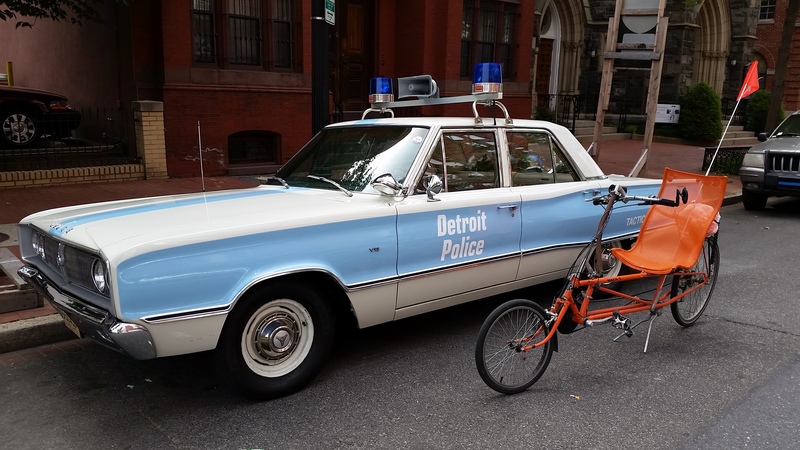 During my lunchtime bike ride today I happened upon an eye-catchingly unusual vehicle parked on 8th Street in northeast D.C.’s Brookland neighborhood (MAP). When I first saw it I thought of the DeLorean time machine in the “Back to the Future” movies. At the end of the third and final movie, Doc Brown was married to Cora, and they had two sons, Jules and Verne. 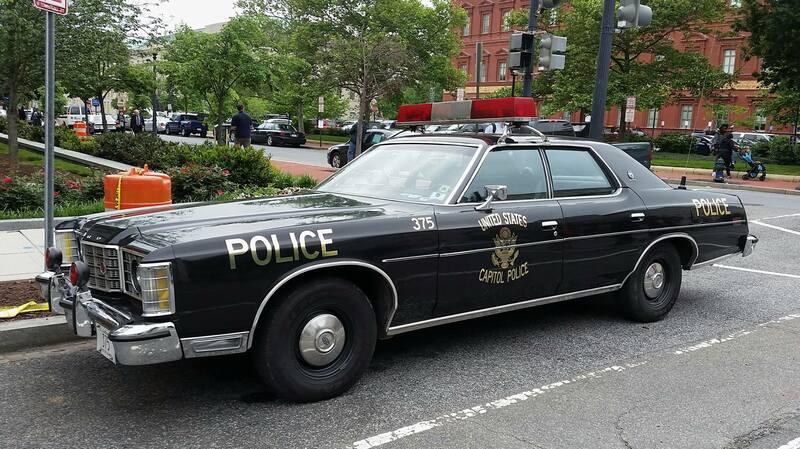 And this vehicle is how I imagine their station wagon would look like if they ever had (or is it will have?) 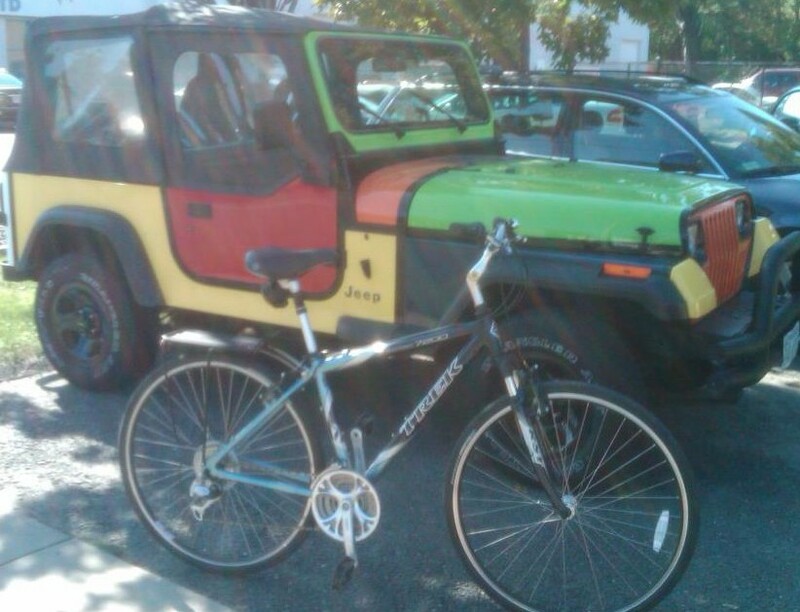 a family vehicle. By far my favorite of the many unusual vehicles that I’ve run across during my daily bike rides throughout the city, I found out that this vehicle is actually a mobile art exhibit entitled “Autonautilus.” But more than that, it also happens to function as a vehicle for its artist owner, Clarke Bedford. Bedford is a local sculpture, performer and artist from nearby Hyattsville, and when he’s not working on his own creations or performing, he is also a conservator at the Smithsonian’s Hirshhorn Museum and Sculpture Garden. Autonautilus is one of several vehicles Bedford has created. 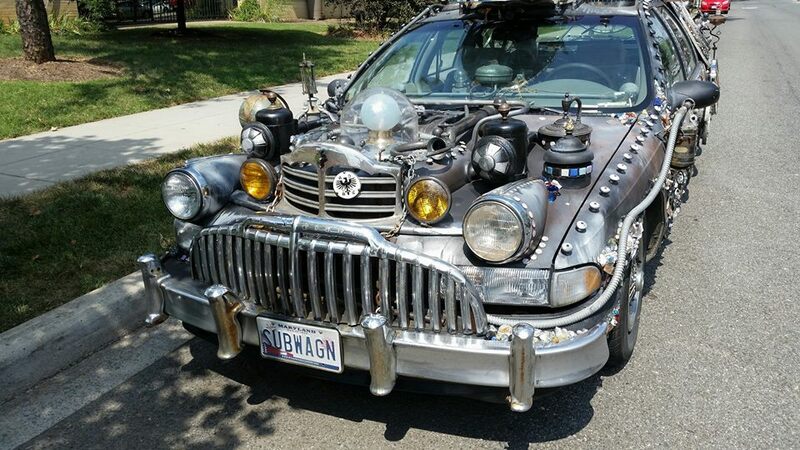 He refers to them as “art cars”, and thinks of them as “assemblages that live outdoors and which also happen to move down the road.” And since they are the only cars he owns and drives, they are durable as well. Comprised predominantly from metal parts such as metal tubes, fans, statues, car parts, and almost anything else he can salvage or buy and re-use as forms of art, they have to be durable in order to withstand driving down the road, or being parked in the elements at his house since he doesn’t have a garage. I never know what kind of protest I might come across when I go for a bike ride in D.C., but I can practically guarantee that I will see at least one protest. From the hate-filled protests by the Westboro Baptist Church, to people flying the Confederate flag, to groups that gather in front of the U.S. Supreme Court Building whenever a controversial decision is announced, to The White House Peace Vigil, this city always has somebody somewhere protesting something. 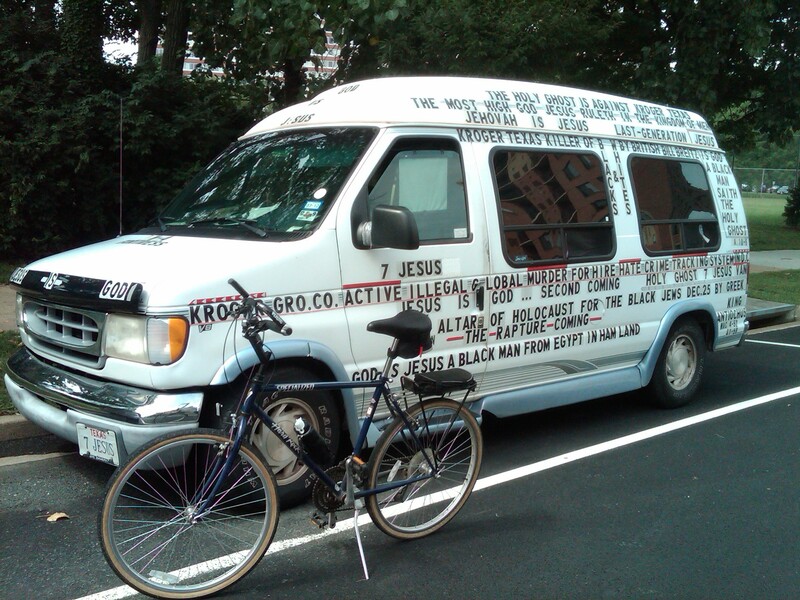 One of my favorite kinds of protests are the ones like this van, which I saw on a recent bike ride, that combine advocating for a cause with an unusual vehicle. 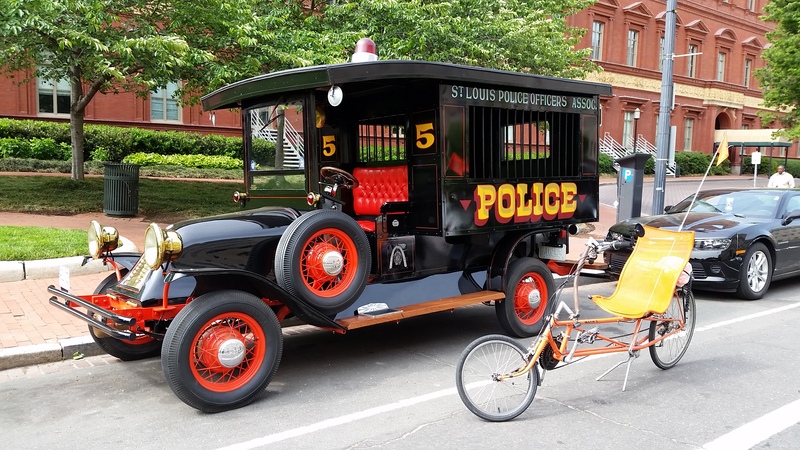 These “Rolling Protests” on wheels often travel throughout the city, so you never know when the timing will be just right to happen upon one. But even after stopping to read the writing that appears all over it, I’m still not quite sure what the owner of this van is protesting. It is covered with religious writings that mention Jesus, the Holy Ghost and Jehovah, as well as political writings that touch on a number of diverse subjects, including government corruption, outsourcing jobs, hate crimes, and Bain Capital. 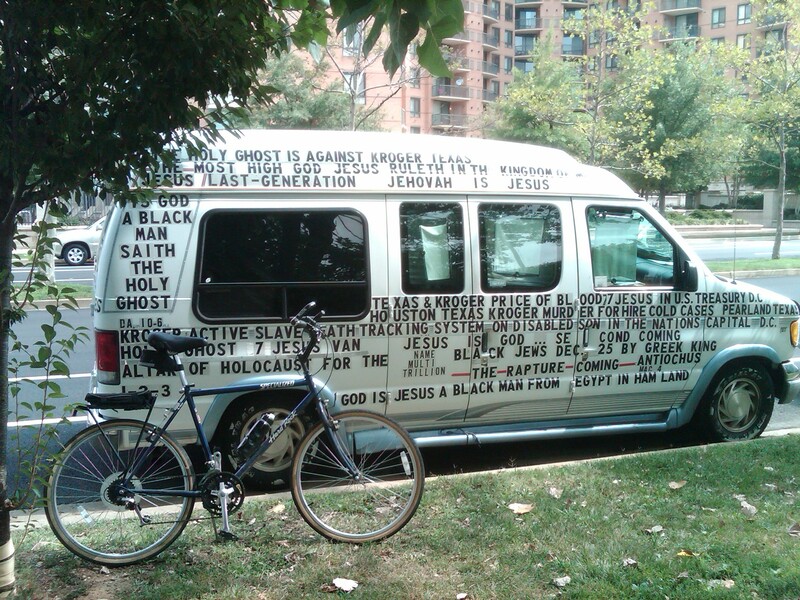 There are also phrases on the van which read “God is Jesus a Black Man from Egypt Ham Land” and “The Holy Ghost is Against Kroger Texas.” The van’s license plate indicates it is from Texas, and reads “7 Jesus”. If you click on the photos included in this blog post you will be able to see the full size versions of the photos, which make the schizophrenic-like writing on the van easier to read. So if you do, and you think you understand the van owner’s message, please let me know. 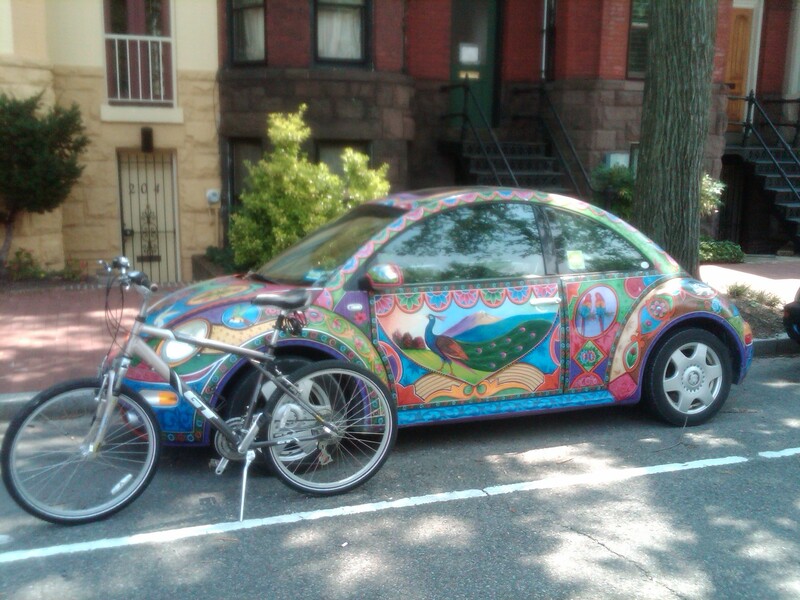 While on my bike ride I recently came across this tiny car parked in the Capitol Hill neighborhood of D.C.. 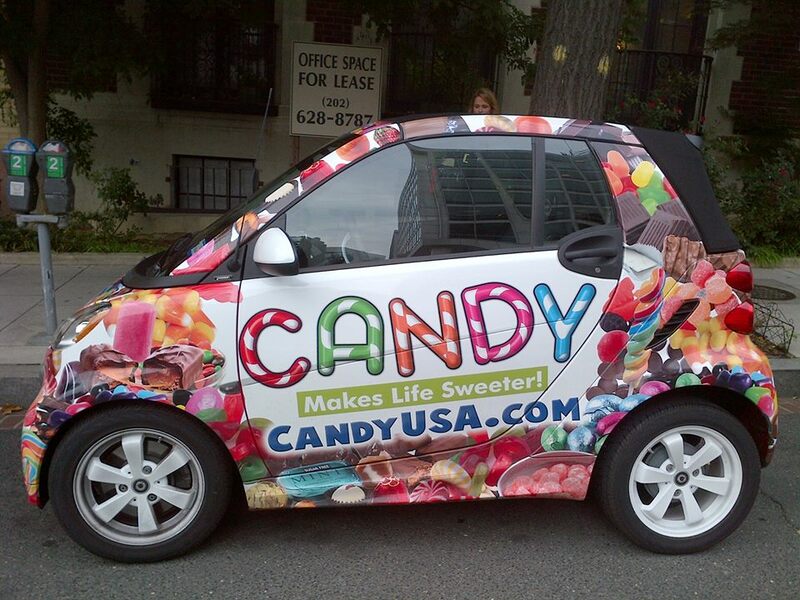 Although the car would stand out at any time of the year, the candy-themed vehicle seems particularly relevant during this week leading up to Halloween. 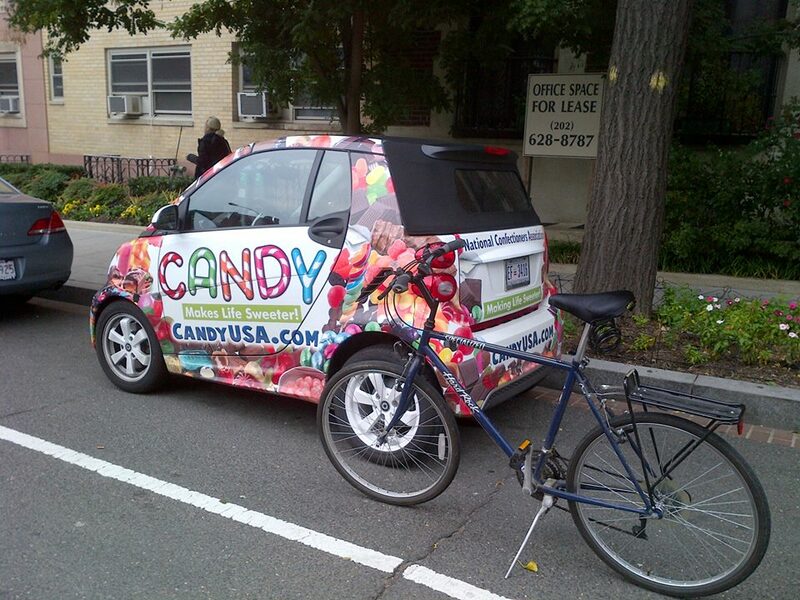 The car belongs to The National Confectioners Association, a trade group representing candy manufacturing companies. Founded in 1884, the National Confectioners Association is one of the oldest trade associations in the world, with a mission to advance, protect and promote the industry. 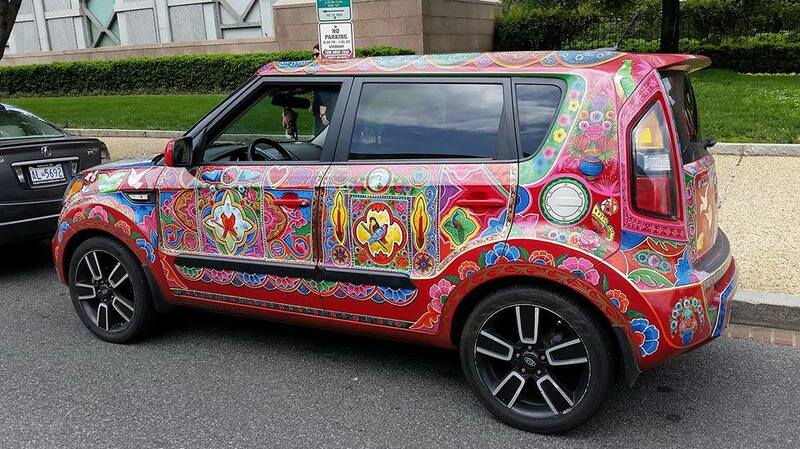 As I stopped to look at the car and take a photograph, the woman driving it walked up to get in. She said hello, and from her demeanor I imagine she is used to the attention the car receives. I jokingly replied, “Trick or treat.” And based on what she did next, she is apparently also used to the car eliciting this type of response. She popped open the trunk, and reached in and grabbed a handful of candy which she then gave to me. It was the first time I have been trick-or-treating in a very long time. 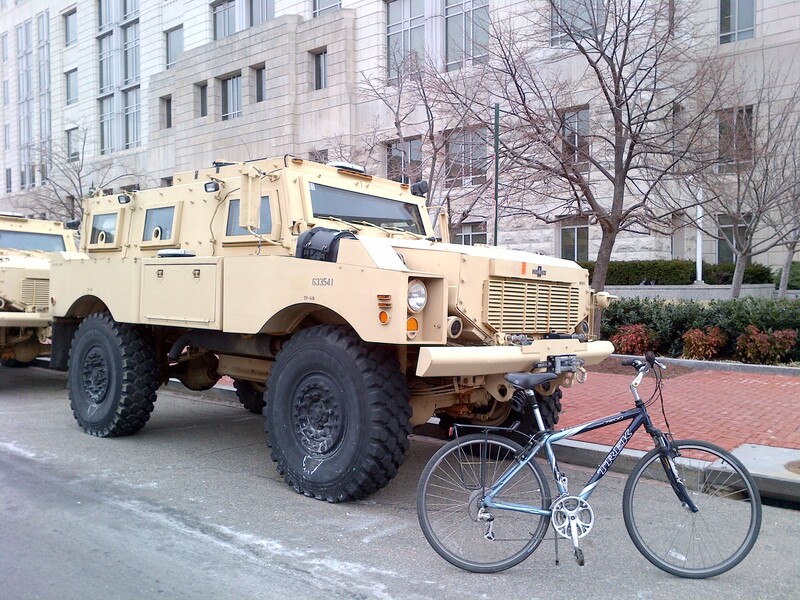 When riding a bike around D.C., I’ve found out that you just never know what you’re going to see. And that applies particularly to vehicles. Some are large while others are small, and some are normal while others are just plain unusual. 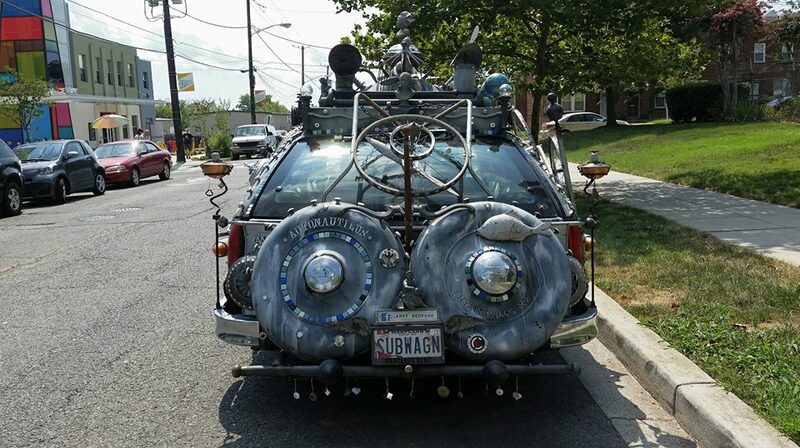 I recently happened upon this hearse while riding in northeast D.C., and I think the atypical funerary vehicle falls squarely within the unusual category. The word “hearse” comes from the Middle English word “herse,” which was a type of candelabra frequently placed on top of a coffin. Sometime in the 17th century, people starting using the word to also refer to the horse-drawn carriages upon which caskets were often transported in a funeral procession. Hearses continued to be horse-drawn until the first decade of the 20th century. Nobody’s quite sure exactly what year motorized hearses were first put into use, but it was most likely sometime between 1901 and 1907. Interestingly, it is believed that one of the first non-horse hearses had an electric motor, having been built by General Vehicle Company of New York. The first hearse built with an internal combustion engine didn’t appear until 1909, at the funeral of Chicago cab driver Wilfrid A. Pruyn. It was that same year that the Crane and Breed Company out of Cincinnati, Ohio, became the first mass producer of hearses. Today, no major American automobile manufacturer builds hearses at the factory. General Motors has no hearse division. Neither does Ford or Chrysler, or other company for that matter. Instead, most hearses are hand-crafted by companies that take the bodies of existing cars and customize them, making them longer and adding special purpose parts. 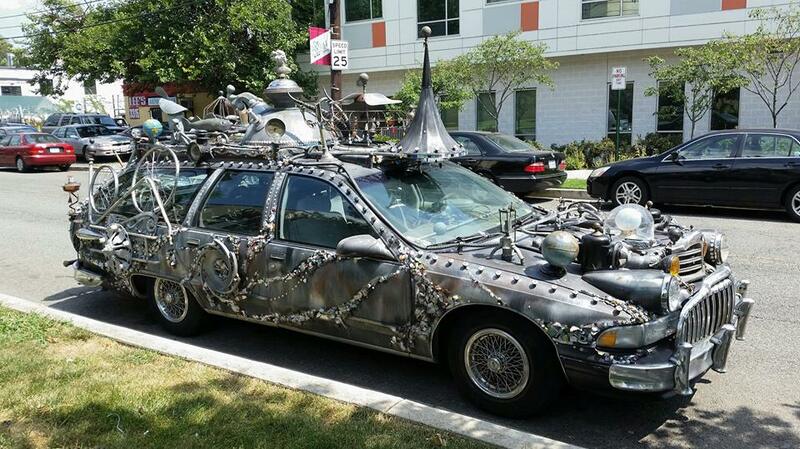 In addition to traditional vehicles, hearses these days sometimes have taken on various extravagant forms. Motorcycle hearses have started to be used in several cities. Funeral homes in a few cities have also experimented with trolley or subway car hearses, but the practice has not really caught on. 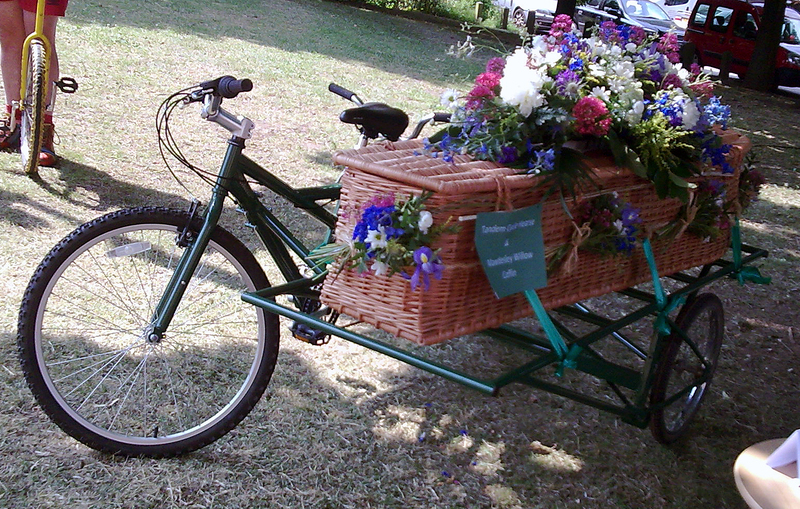 Also appearing on the funeral scene are bicycle hearses. With companies and funeral homes that cater to these niche funeral crowds, these options are becoming increasingly popular as of late. It was not uncommon in the early and middle parts of the 20th century for hearses to serve as both funeral coach and ambulance, depending on the immediate need that the community had for them. Such vehicles, once common in small towns, were known as combination coaches. 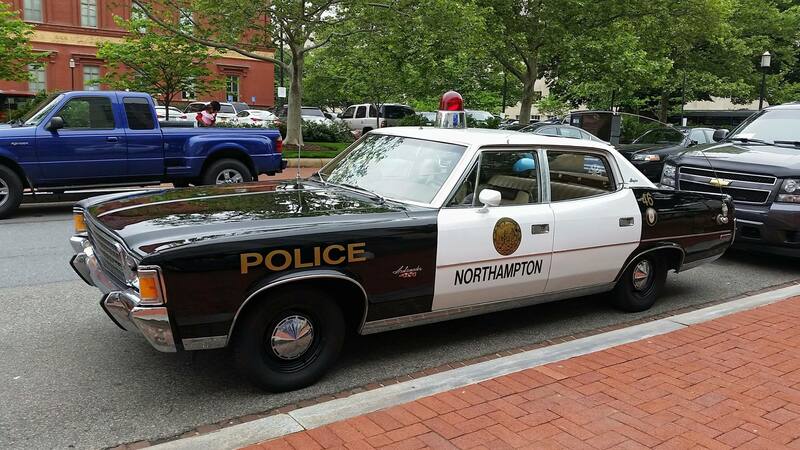 Regulations for ambulances became stricter after the 1970s, however, and now it’s rare for one vehicle to serve in both roles. 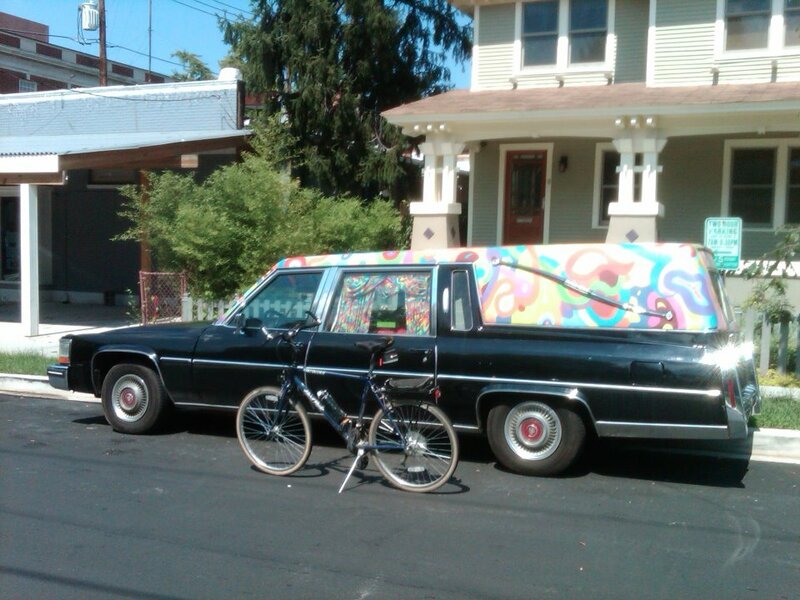 The design and utility of hearses have also caused them to be adapted and used for other purposes as well. Because of their length, they have been popular with surfers for transporting their boards. And because of their size and storage capability, musicians have routinely used them for transporting their bands’ equipment. Celebrity hearse enthusiasts include rock singer Neil Young, who at one time used a 1948 Buick hearse to transport his equipment to concerts. Similarly, Domingo “Sam” Samudio of the 1960s rock group, Sam the Sham and the Pharaohs, best known for the song “Woolly Bully”, used a 1952 Packard hearse as an all-purpose equipment vehicle. 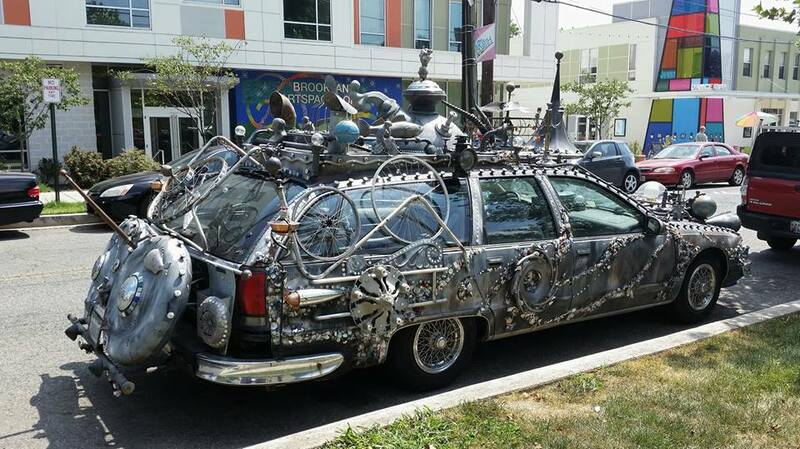 Eventually, the collecting of hearses caught on among automobile enthusiasts. People collect them, modify and decorate them, drive around town in them, take them to classic car shows and enjoy telling scary stories about them, too. 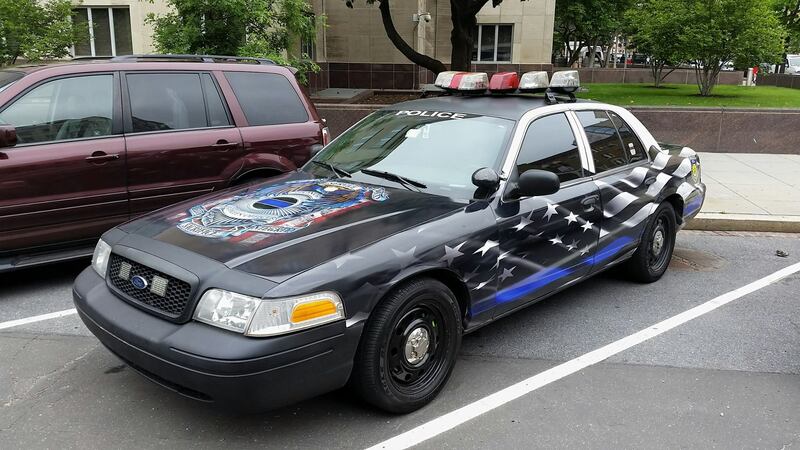 In addition to the Professional Car Society, organizations like the National Hearse and Ambulance Association and the Last Ride Hearse Society have sprung up. 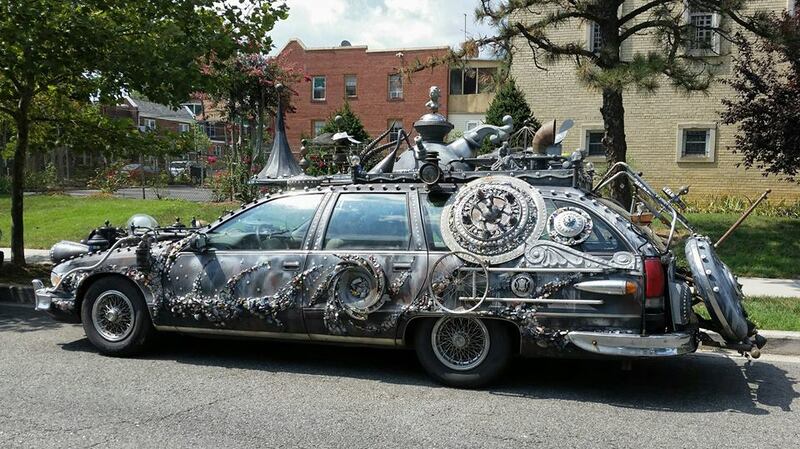 Even if they have not been decorated or modified in some unusual way, hearses have become objects of fascination for many people.